I stumbled on this link party through Rebecca's Blog, and decided to join the fun. Please leave me a note if you found me through The Smart & Trendy Moms' link party. Thank you for visiting, and I look forward to the chance to visit your blog! As if the New Friend Friday Link Party hosted by The Girl Creative wasn't enough fun... She has an awesome giveaway this week!!!! Check it out, and get your entries in. The giveaway is from Stitch N Studio an fun Etsy Store for an adorable wallet. Boy, I could really use a new wallet so I am keeping my fingers crossed, LOL! (I keep seeing really cute wallet patterns, but haven't wrangled up the nerve to try one just yet!). So, head on over to The Girl Creative and the Stitch N Studio and check them out! As I posted earlier I purchased the Reverse Circle Applique set from Planet Applique. Here is a project I did using one of these designs. I hope you enjoy these details and pictures! 1. Start by choosing your front and background (the fabric you will see through the applique) fabrics. 2. Hoop a piece of tearaway, position your background fabric in your hoop, and secure with adhesive spray. Make sure that your background fabric is large enough for the design. 3. Place a medium weight water soluble stabilizer on top of your background fabric. This helps protect your background fabric when you are cutting in the later steps. 4. Put your front fabric on top and pin securely to avoid any shifting. 5. Stitch your design. These designs stitch out very quickly and have a low stitch count. Link parties are a fun way to be able to check out a lot of blogs quickly. Check out this list of link parties on Keeping it Simple. I may have to admit defeat on this one. Boy, has it been busy this month! Isn't it funny how life can just go from nice and easy to 90 miles an hour over night? I have a quick trip to Joann's planned for this evening, and we desperately need some couch pillows redone. So, there may still be a shot at having something to submit for this month's challenge. Now back to my "wonderful" to-do list, LOL! I have been having requests to purchase items (such as the Stay-Put Towels) individually. So, I have taken down the pages of items, and will put them back up after I have completed reformatting the pages. 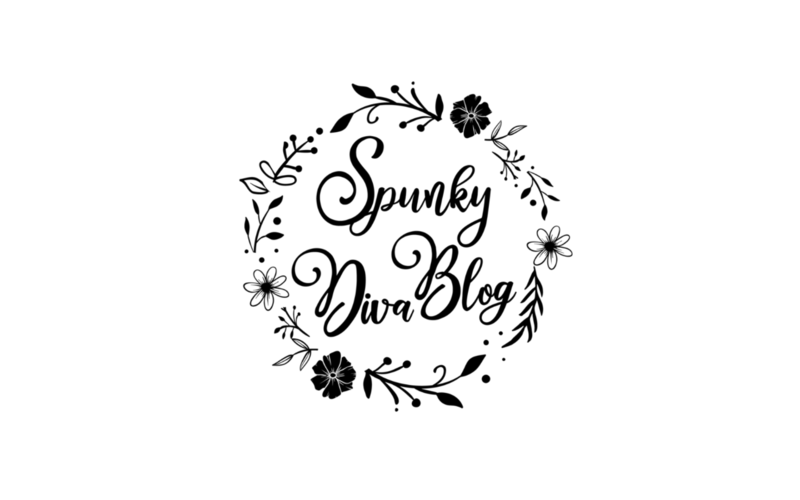 Thank you for your patience, and as always if you have a question you can send me an e-mail at spunkydiva@live.com ! If you have one of those little "Girl Tool Sets" this post is for you. You know the little kit that has a hammer, screw drivers, and some other stuff you probably won't ever use. Let me tell you a secret. Something that they guys have known for years. Power tools rock! The only thing I use around the house (other than a hammer) is my power screwdriver. You can buy a set of bits to go with it (you notice that mine is labeled so it doesn't accidently migrat to my husband's shop) and do anything you would normally put on the Honey-Do List. Here is an example of how this little tool can change your life. We have a plastic trash can that has no air holes under the handles, and so the trash bags just bubble up when you put trash in. This is something that drives me nuts, and I tend to put a small hole in the bag so it doesn't do this. Trying out a blog button. It seems to be working! Here is the link to button tutorial I used by Jenieshell. Here are the buttons and links for some of my favorite blogs. I love them because they have great ideas that inspire me to repurpose items I already have. Which of course, is a great money-saver and saves me a trip to the store as well. I hope that you enjoy these as much as I do! Transformation Thursday's is a link-up party. Click here to find over 100 links to different projects! My mom gave me this denim skort that had a rip in it to fix and keep if I wanted. I love denim, and I am sure that denim must be God's most favorite fabric. So... of course I am keeping it! But it was a little (or a lot) on the blah side. I wonder what could be done about that? Silly me. Embroidery of course! I have a new flower design from Lynnie Pennie that I was just dying to try out. I was reminded of this design by Just Jo's blog entry From Shirt to Skirt. Now I have a new-to-me, fun skort to wear anywhere I want to make a cute fashion statement. Maybe I could even call this "upcycling"? What to do when your new crawler seems to aquire enough toys to arm a small nation overnight? 1) Take a diaper box (if you don't have one available, wait two days until you have to buy more diapers then continue to Step 2). 2) Grab some handy, dandy Contact paper. Pick either a solid colored roll or one with a pattern that matches (or at least doesn't clash) with the living room. You can find Contact paper almost anywhere. Make sure you pick out a darker color to cover up the print on the diaper box. 3) Add Contact paper to box. Add name signage if needed (or if Daddy decides to be ultra creative). And now you have a toy box to corral all those unruly toys! The shorts are safe for now. Well, Mr. Spunky Diva's shorts are safe for now. Darn it! I don't have any ballpoint needles at the moment. So his shorts are safe until I make a run to Joann's. I am thinking I could run to Joann's while the kiddo is at Youth Group tomorrow. Cheers all around! More burp cloths under construction! Planet Applique's Reverse Circle Alphabet; this works wonderfully on onsies, baby caps, etc. Horseshoe; how about this design to go with "Cowboy Up" or "It only takes 8 seconds"? Reverse Applique Designs; and these are going to be the cutest addition to onsies, and can't you just see a poodle skirt in the making? Black table skirts in progress! I found these flat sheets on sale at Wal-Mart for just $3.00 each! I am going to use them to create table skirts to go under table clothes for the tables for our booth. The Aqua sheets are going to be hung from the back and side walls of the canopy to provide shade while still allowing light (and a breeze) through. ...a thing of the past. These designs have been added to the embroidery designs you can choose from when ordering a custom baby item. This design can be altered for any sports team you would like. This fun applique design uses material from the trimming of the burp cloth to create a trendy design for your burp cloth. The text/wheel color is chosen to coordinate with the fabrics being used. The "Diva in Training" is a continuation of the Diva series. The flower uses fabrics that coordinate with your choice of trim fabric, and again the text color is choosen to contrast with those fabrics. Our most popular design currently available is the "Princess Burp".